Varada Place is a 10-minute walk to the trendy Nimmanhaemin Road and Sunday Walking Street on Thapae Road. 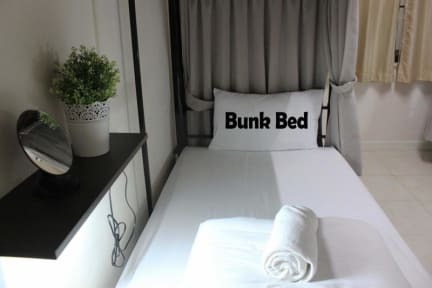 It offers clean and comfortable rooms with a private balcony and free Wi-Fi. Guests enjoy free tea and coffee daily in the lobby area. The property is a 3-minute walk to Central Kad Suan Kaew Department Store and a 10-minute walk to Loak Molee Temple. It is 10-minute drive to Saturday Walking Street on Wua Lai Road and Chiang Mai Zoo. Doi Suthep Temple is a 30-minute drive away. Rooms at Varada Place are furnished with simple decor. 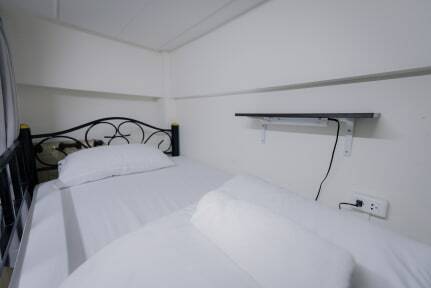 Each air-conditioned room comes with a cable TV, a microwave and a refrigerator. Shower facilities are included in an en suite bathroom. Massage and shuttle services can be arranged at the front desk while sightseeing trips can be booked at the on-site tour desk. For guests’ convenience, the hotel provides laundry services and luggage storage. A 3-minute walk from the hotel, guests will find plenty of dining outlets to choose from. Chang Phueak is a great choice for travellers interested in nature, relaxation and friendly locals. - We have a tour in Chiang Mai, such as the famous elephant tour in Chiang Mai, Thai cooking Class,hiking tours for nature lovers. We have 3 buildings Bunk Boutique1, Bunk Boutique2, and Varada Place. 1. Reception Hours: 08:00 A.M. – 11:00 P.M.
- Check-in Time: 2:00 P.M. - 11:00 P.M.
- Check-out Time: 08:00 A.M. - 12:00 P.M.
2. Cancellation Policy: Up to 3 days advance notice before the arrival date is required. 4. Hostel World Deposit: Non-refundable in case of cancellation. 5. Key Deposit: On top of the total amount, 100 Baht will be collected as a refundable key deposit. You will receive it back once you return the Key as you are checking-out. 6. Strict No Shoes, No Pets, No Outside Guests. Penalties shall be taken in action if violated. The worst experience ever. Via email they confirmed that we could check in early and as soon as we arrived (4AM) they wouldn’t let us do that. They said they where full and that we had to stay in the living room. The staff did not have the slightest care and began to make a lot of noise in the corridors and in the living room at 7 AM. After several groups did check out they did not accept me to check in and I had to wait until 11 in the morning. I was from 4 to 11 waiting. Zero care about me.